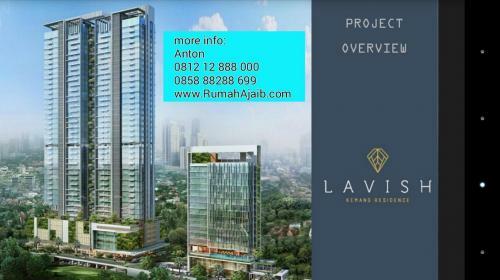 Condition: Brand new Apartment in Kemang Raya developed by PT. 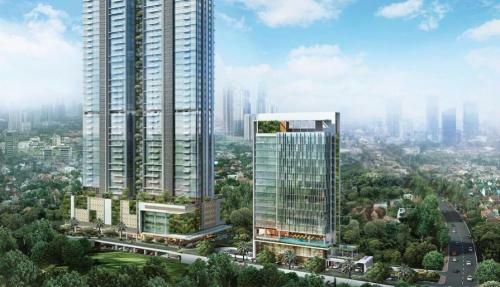 Kemang Raya Utama. 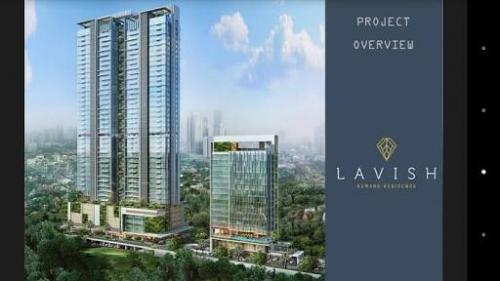 40 storey building with scenic city view. Only 474 units of condo. 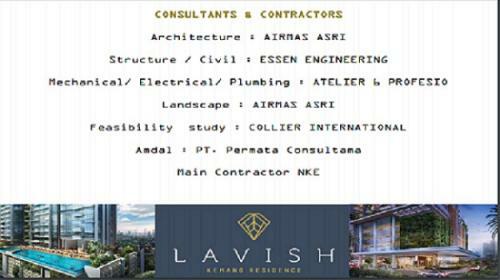 Facility: Lounge and pool on the rooftop, dining room and open air cafe, gym and spa, swimming pool and playground, jogging track, bbq area, library, kindergarten, commercial, concierge, ATM, function room, mini market, laundry, canteen, etc. 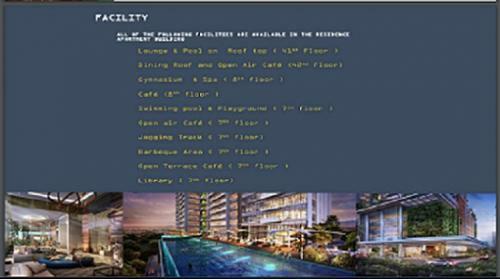 Facility: Lounge & Pool on Roof top (41th floor / 47th named floor), Dining Roof and Open Air Cafe (42th floor / 48th named floor), Gymnasium & Spa (8th floor), Cafe (8th floor), Swimming pool & Playground (7th floor), Open Air cafe (7th floor), Jogging Track (7th Floor), Barbecue Area (7 floor), Open terrace cafe & Library (7th floor), Kindergarten, Commercial Business Centre, Lobby, reception & Mail box. Concierge. Bank & ATM, Function room, Minimarket, Laundry, Canteen. Additional Info: Lokasi yang sangat strategis berada jantung kawasan Kemang. Unblock view. Potensi sewa yang tinggi. 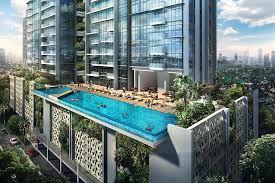 Swimming pool ada di lantai podium (Lt. 7) dan roof top (lt. 48). Ada exclusive restoran di rooftop (lt.48). Ada Hotel, jadi bisa memakai pelayanan hotel. Dibangun dengan sepenuh hati dan penuh perhitungan.